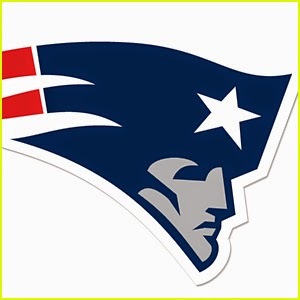 THE NEW ENGLAND PATRIOTS defeated the SEATTLE SEAHAWKS 28-24! With the late interception by Malcolm Butler-the rookie! I have been watching football for a long time now and I haven't seen anything this wild and crazy. This game was nuts during the 2:00 minute warning of the 4th quarter. The halftime show was HAWT!! Katy Perry....Lenny Kravitz and then Missy Elliott! Great performance. Did you watch the Superbowl? Were you team #Seahawks or team #Patriots or were you for the commericals and the halftime show? I've never in my life watched a football game until last night. My little brother (he's 20 and a football fanatic) was super excited about the Super Bowl, so I decided to see what the hype was about and found myself interested in it. He was rooting for the Seahawks, so naturally that's who I rooted for, too. Plus, Richard Sherman and Marshawn Lynch are FINE! Especially Marshawn!!! Anyway, that game was CRAZY, particularly the Seahawks' last play. The quarterback should've just let Marshawn run the ball. UGH! Katy Perry was okay - nothing memorable, though. Loved Missy Elliott!